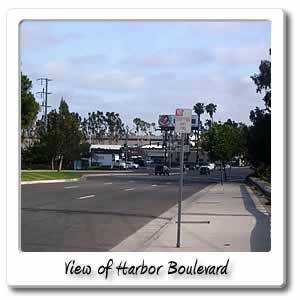 Welcome to Harbor Blvd on the Santa Ana River bicycle trail. 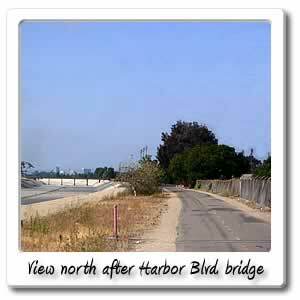 Just a few hundred feet from the Warner exit, you'll find the Harbor bridge. Going south a few hundred feet from the bridge will take you to Warner and Harbor, which has a Donut Star and Jack in the Box. You can go west on Warner and find all kinds of interest points and places to eat and visit. See the Warner Avenue page for more details. You won't find much going north on Harbor, until you get to Edinger, which will be described on the Edinger page. By going 3/4 mile on the river trail you'll find the next exit, which is Edinger Avenue.